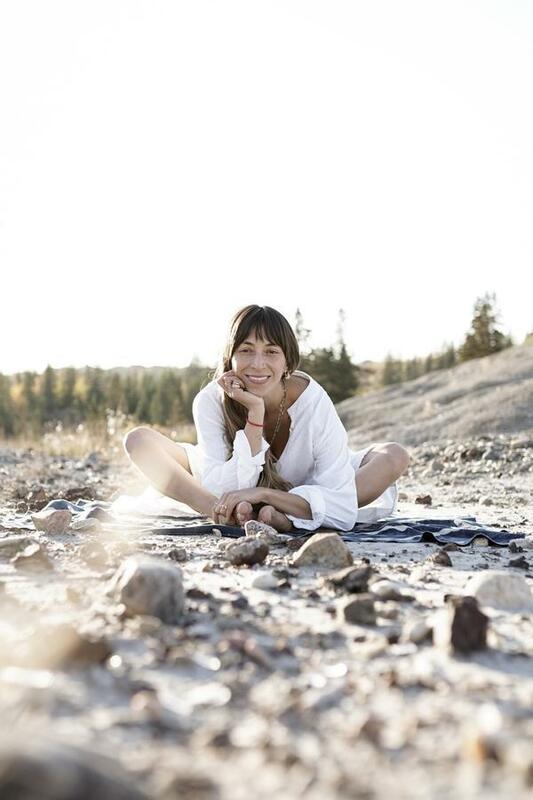 Trained by Gurmukh and Yogi Bhajan, Myrah Penaloza brings a new voice to the world of Kundalini by empowering women in wellness. Check out Myrah at Wanderlust O’ahu, February 28–March 3. Festival tickets on sale now. There are few things more powerful than raising your vibration. Kundalini yoga does just that, focusing heavily on the breath and internal energy in an effort to balance the mind, body and soul. It’s an exciting and evocative way of stabilizing one’s internal dialogue—something that feels especially important for the modern woman. Whether it’s navigating work stress, healing from a bad breakup, beginning the journey into motherhood, creepy Tinder dates, coping with your mansplaining co-worker, juggling a packed social life, or even simply comparing oneself to another on Instagram, women face their own special set of stressors. 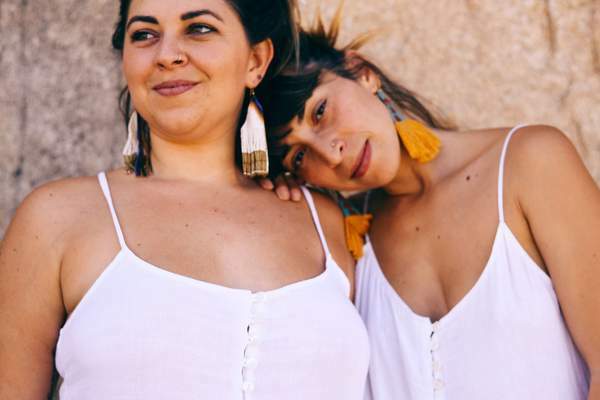 Myrah Penaloza, Kundalini teacher and founder of La Luna Social, has dedicated herself to empowering the lives of women through the Kundalini practice. We had the luxury of speaking to Myrah about the benefits of Kundalini and the catalyst that sparked her own journey into a career of female empowerment. WL: Tell us about your personal journey into the world of Kundalini. How did you begin your own practice? MP: Kundalini Yoga, as taught by Yogi Bhajan, came to me in a period in my life where I was seeking a spiritual practice. I wanted to go deeper into meditation to heal my own traumas and rise above the stories going on in my mind about life and elevate what was possible. At the time, I was already practicing meditation with a foundation called “The Fourth Way” in Los Angeles. One of the members of this group invited me to a women’s yoga and meditation class at Golden Bridge Yoga, which is now Wanderlust Hollywood. I remember walking into this amazing building and having my mind totally blown, women flowing around dressed in white, turbans… Sheepskins on the ground and a loving community vibe that I never experienced before. I remember thinking that anyone else might be intimidated by this, but it was exactly what I needed and I felt right at home. In the women’s yoga and meditation class, my now teacher Tej Kaur Khalsa taught a meditation that profoundly stimulated something inside of me, and I had an experience known as a “Kundalini awakening.” Everything happened so quickly and all I knew was that I needed to learn more. This was close to 15 years ago, when Kundalini yoga was not as well known as it is today. I ended up doing seva work at the studio, as I wanted to spend as much time as I could in the community. Eventually, I was invited to join the Kundalini teacher training led by Gurmukh. At 18 years old, I was the youngest student and graduate to complete the Kundalini Yoga teacher training. Kundalini yoga works on calming and strengthening your nervous system and elevating how much energy you have available to you in the moment, which enables you to move through life’s misfortunes and triumphs with more grace and vitality. I followed the path and it transformed my life. As of today, I’ve been practicing and teaching Kundalini Yoga for close to 15 years. WL: What changes did you notice when implementing Kundalini into your life? MP: Kundalini yoga always has had the immediate effect of making you feel good, connected, and radiantly alive. When I practice Kundalini consistently, everything in my life literally changes. My life, like most people in western culture, is consistently in a “go-go-go and always-on” world. We are quite often in the stress response. Feeling overstressed and overtired is like an epidemic right now. But Kundalini yoga works on calming and strengthening your nervous system and elevating how much energy you have available to you in the moment, which enables you to move through life’s misfortunes and triumphs with more grace and vitality. In this way, Kundalini yoga helps you send your body the signal that everything is ok. Once that signal is sent, your entire body re-allocates your energy from fight/flight to a restful state, and healing begins. When your mind-body is healed, your evolution as a person begins and we cause a ripple effect healing our families, friends, and communities. There is a saying, “we do not see the world as it is, we see it as we are.” Kundalini helps me remove the habitual stories running on repeat in my mind (including the subconscious) and gives me access to the clarity and energy required to design and live a life in total alignment with my heart. WL: We’ve heard that Kundalini has the power to relieve us of sadness, anxiety, hopelessness, etc. Do you know this to be true, or can you speak more on this? MP: I can tell you from personal experience that this is totally true if you do the practice. Kundalini gives you as much as you give it. In my experience, you can literally feel a shift in as little as three minutes. There are very specific Kundalini Yoga sequences taught by Yogi Bhajan that address everyday things that we might want to experience more or less of, including abundance, banishing doubt, removing obstacles or dealing with very specific health conditions. Kundalini is essentially a toolbox for life. Scientifically speaking, Kundalini yoga and meditations engage the activity of the frontal lobe, and can regulate activity in brain areas that are associated with fear and stress responses. It literally makes you feel better! In the information age of today, we truly have an abundance of information—but we also have a poverty of attention. WL: We’re especially interested on how you use Kundalini as a tool of empowerment for women. How do you specifically work with women using the Kundalini practice? MP: I know how busy mothers and women can be in this day and age, so I focus on making Kundalini Yoga more accessible. In the information age of today, we truly have an abundance of information—but we also a poverty of attention. 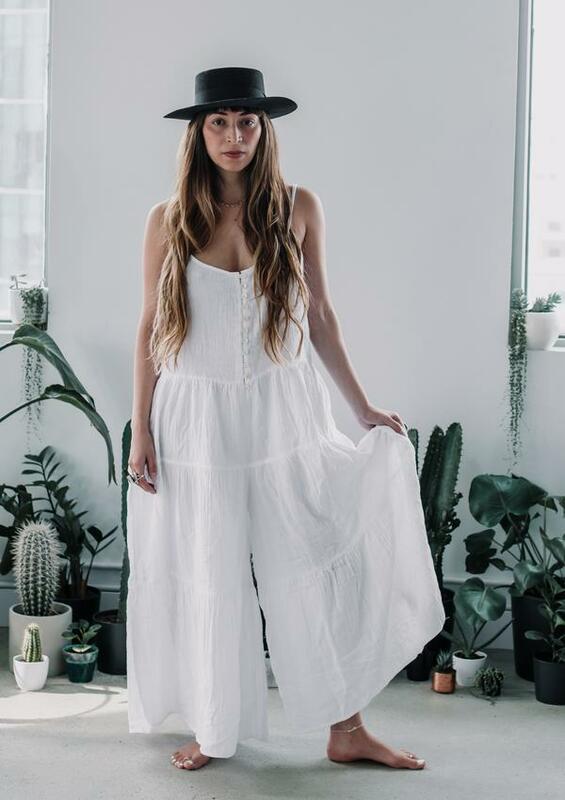 Addiction to social media, for example, is an epidemic that is affecting many women, so I work with the Kundalini yoga technology to make it very practical and useful for today’s modern woman. I focus on very specific healing meditations for women such as “Sodarshan Chakra Kriya” for healing depression, and Adi Shaki Mantra for connecting women with their own power. In as little as 11 minutes a day, Sodarshan Chakra Kriya can be a very powerful tool for relieving hypertension, improving memory, and decreasing the amount of cortisol (stress response) in your body. Over the past few years, and at the upcoming Wanderlust O’ahu, I have been developing and sharing a workshop series called “Moving Into Grace.” This series utilizes the teachings of Kundalini yoga and meditations that are specifically geared for women’s health and wellness. As women, our limbic system is very different from men. Yogi Bhajan came to the states in the 60s and focused the majority of his teachings on healing and empowering women. He reminded us then that there is a huge responsibility that comes with being a women. Yogi Bhajan shared that women are 16x more powerful than a man (in both creation and destruction)—everything begins (birth) and ends with a women. He also taught a series of lectures at his annual women’s camp during the time that he was with us, and I personally find that now, more than ever, these teachings for women must be shared to heal and restore our precious gender. WL: You’re also the founder of La Luna Social, a collective of women gathering to celebrate the cycles of the moon. Can you say more about this? Over time, my small circles grew from 5-10 women to 60-80 women. Quite often women from out of town would inquire about hosting their own La Luna Social and very organically the collective was born. What really excited me over time was giving women a platform to express their gifts, so every month I would feature a new woman in the community for her to share her magic at the gathering. Today, we have La Luna Social gatherings all over Canada, France, Italy, USA, and the Dominican Republic. WL: How does Kundalini play a role in your life as a mother? Physically, I was able to practice Kundalini yoga throughout my pregnancy and even on the day of my daughter’s birth. Kundalini gives me the physical, emotional, and mental strength to move gracefully through the often very challenging (and rewarding) role as a mother. If you know any parents, or are a parent, we have to always be on, as young children can get themselves into trouble in just seconds of solitude. This can be super stressful! In addition, early motherhood and pregnancy is very much driven by hormones. During this high hormonal period, Kundalini helped me keep my cool and sanity. Today my daughter Soleil is almost 2 years old, and I’m learning first hand that our children don’t always do as we say! But when I practice Kundalini yoga, she is mesmerized by the movements and joyfully joins in. I always have her with me during practice because I believe it’s really important for our children to see us do our yoga. Yes, she distracts me, and does everything to stop me from practicing, which can be frustrating… But the reward is our special time together. She is more and more joining in on the meditative process, so I also get to watch her journey. Being a momma has also made me more creative in getting my practice complete in shorter bursts of time. If I have 3 minutes, then I use that time to do Kirtan Kriya, or a balancing pranayama. Balance is key. WL: What are other ways our readers can begin to experience transformation in their daily lives? MP: One of the most foundational and powerful transformations we can experience in our lives is self love. Self love is built upon trust and we can develop trust through daily rituals that we can work with. Truly, the root of self love is trust. If you can learn to trust yourself, your decisions, and your life, you will certainly feel a sense of freedom and empowerment. I would suggest starting with a small three-day persistence practice. Choose a three-minute meditation that you can do for those three days. Once you successfully complete the three days, add a few more days to your regime and keep expanding the complexity over time. This easy little game will help you gain confidence and routine, as you end up fulfilling the promises you make to yourself. Eventually, you start to doubt yourself less and trust in your day-to-day decisions. This makes you stronger, bolder, and more creative. It leads to a truly transformed life. For more information on Myrah and La Luna Social, visit her website. To see and practice with Myrah in person, consider a trip to Wanderlust O’ahu. Tickets are available now!